After the growing success of the last four shows, Peaks and Dales Weddings are delighted to announce they have once again teamed up with the Devonshire Dome, and the Buxton Advertiser, for another Premier Wedding Show in Buxton. 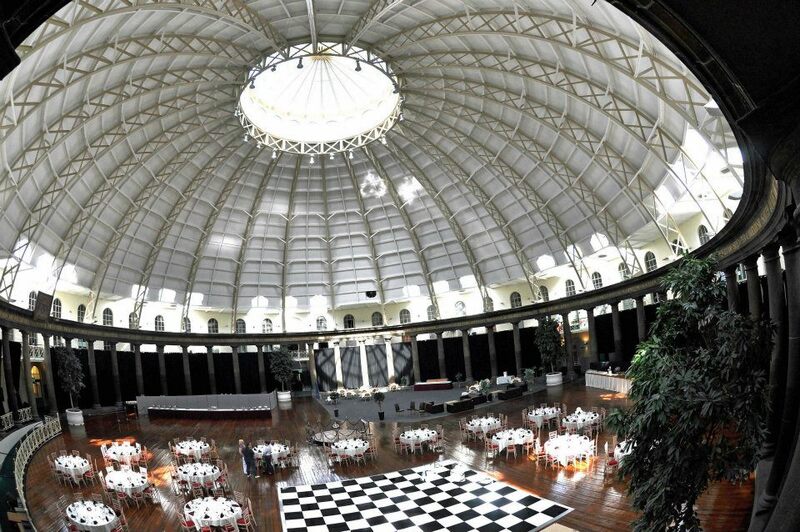 As usual the Wedding Show will be hosted at the prestigious venue the Devonshire Dome, on Sunday the 7th October 2012. Chairman of Peaks and Dales, Adrian Leggett, said, “The whole reason behind this Show is to bring together local, independent wedding industry suppliers to offer people greater choice of product. We already have more exhibitors booked than the last show, and new ones are continuing to apply for a stand. When you think we achieved over 1000 people through the door at our last show, this proves that this what the residents of the Peaks and Dales want, everything about weddings under one roof on their doorstep! So, if you, a member of your family, or any of your friends are thinking of getting married and are planning their wedding then come along to our Premier Wedding Show. Many of the Peaks and Dales leading wedding suppliers will be on hand to help with your plans and inspire you with new ideas for your special day. You’ll be able to meet bridal-wear suppliers, cake-makers, photographers, stationery creators, florists, wedding car hire companies, venues, and many more – on the same day and all in the same place! Don’t miss the visual delight and atmosphere created by the two exciting choreographed fashion shows during the day that will highlight appealing cutting- edge and traditional styles from four bridal-wear suppliers, along with bridal hair and make-up artistry. Entrance to the show is still FREE and each visitor will receive a complimentary goodie bag! The show opens at 11.00am and closes at 4pm, refreshments will be available from the Dome café.